Due to the success of shows like Pawn Stars, American Pickers, and Storage Wars, our most prized items has been thrusted into the spotlight like never before. Is it because we have a greater appreciation for family, heritage, and history? Or is it because we have lost faith in the economy, in banks, in fellow man, that we have no choice but to put a price tag on these special items? It’s probably a combination of the two, but at Value Safes, we vote for the latter. For almost ten years, we have been seemingly in recovery mode, living on a seesaw of unpredictability. The only thing left for us to put our faith in is our prized possessions. Do we sell or do we store? The answer is not a simple one, but we think you should protect and store them. There are many disasters that can occur, whether that be a fire, flood, break-in, or another calamity. This spring and summer has seen all of those things and more; there are wildfires raging out west, there were floods in Texas and Oklahoma, and crime rates in metro areas have seen a spike. The world is telling you to insure and protect your valuables, the ones that are impossible to replace. You may not have faith in banks or Wall Street, but you can have faith in our safes. Whether you need to store items like jewels, rarities like antique books, or important documentation like birth certificates, marriage certificates, and more, our safes will provide you with peace of mind, and that is something that is truly hard to come by nowadays. Isn’t that what summer is all about though? Enjoying your days and nights while you can rest easy knowing that your most prized items are safe and sound. There are many blog posts that deal with being happy and healthy in the summertime, like working out or eating better, or simply spending more time outdoors; what these blog posts don’t inform you is that the true secret to being happy and healthy is knowing that the things you care about the most are safe (pun intended!) and sound. Let’s face it; we live in an unpredictable world. If the 2006 financial crisis proved anything, it’s that we need to stay vigilant and make sure we have our ducks in a row or our entire lives, whether for better or for worse, can unravel in the blink of an eye – those bubbles will pop whether we like it or not, so it’s prudent to plan ahead, to make sure that the most important things in our lives are protected, as if outfitted in suits of armor and hazmat suits ready for anything that the unpredictable world can throw at them. What we’re referring to is your family heirlooms; they’re worth holding onto, no matter their financial value. For some of us, they’re the only connection we have to the past, the only thing that links us with the blood of our forefathers. Think of your heirlooms as ships or airplanes that you can board whenever you want to visit the beautiful land of your family history or, as Liam Callanan puts it, “We all carry, inside us, people who came before us.” Here’s the thing: when it comes to ships or airplanes, people exert a lot of effort to protect these behemoths of travel, like storing them in airports or docking them at shipyards. Why not do the same for your treasured heirlooms? Dock your heirlooms and memories in impenetrable safes from Value Safes. Our safes will protect them from whatever elements and keep them hidden from burglars or other people who want to unravel your whole entire lives. At Value Safes, we care about family, what it means, what it stands for; we care about your family, your history, the heirlooms that have been handed down over the years and now sit on your lap like presents on Christmas. The world might not care about the things that mean the most to you, but we do. Rest assured that we have your back. After all, without those heirlooms, without an appreciation for the past, you are nothing or, as Michael Crichton puts it, “If you don’t know history, you don’t know anything. You are a leaf that doesn’t know it is part of a tree.” Isn’t that a sad way to live? To be as a leaf unaware that it is part of a tree, part of a forest, part of an entire ecosystem. You’re only getting so much out of life if you live that way and at Value Safes, we will make sure that your connections to the past is safe and secure, so you can concern yourself with making new connections with the world around you, with the future. You know why we do what we do? Because we believe that it’s important to protect the finer things in our lives, because those finer things are often the only connection we have to something deeper, something meaningful, and that means a lot to us. It should mean a lot to you. We’ll leave you with one last quote, courtesy of Edward Sellner: “We inherit from our ancestors gifts so often taken for granted. Each of us contains within this inheritances of soul. We are links between the ages containing past and present expectations, sacred memories and future promise.” Isn’t that something you should be protecting? We think so. It always sounds cool when someone says they store things in a vault, doesn’t it? A vault has an air of high-class mystery to it. What’s in there? Jewels (a forever favorite of thieves)? Gold bars? Cash money? People will always wonder what’s locked up safe in a high security vault or safe, but they won’t know what’s inside unless they have the combination to open it up. Value Safes sells high security safes for use in people’s homes and offices. In order to properly protect your belongings from theft or damage, you should consider investing in a high security safe which is built to do its job and do it well. What makes high security safes a cut above the rest? Some of the features you can expect with these safes include electronic locks, fire resistant exteriors, and burglary resistant handles. They can also weigh 2,500 pounds or more, so they’re hard to move once they’re placed where you want them. Take, for instance, the TRTL 30×6 safe. It’s built with a high density compressed concrete material encased within inner an.d outer magnesium steel hard plates. If that’s not enough to impress you, consider this: the concrete incorporates 26,000 PSI density and holds a matrix of nuggets and carbon fibers which further enhances its tensile strength. The reinforced armor plating protects the door frame and each individual bolt chamber from even the most sophisticated attack. TRTL 30×6 Safes are tested for 2 hours at 1750 degrees Fahrenheit. TRTL stands for “Torch & TooL Resistant” on all 6 sides of the safe. This is a UL tested standard and is a very serious rating. Only consider purchasing one if your insurance company demands it. A multitude of relockers are designed and synchronized to engage if the safe is attacked. Meanwhile, dial or keypad non-manipulative locks are used. For those who have expensive jewelry like diamond rings, bracelets and necklaces, worth thousands of dollars, Value Safe offers the TL-30 security Jewel Vault. Its composite body is 3” thick with a 6.5” thick door. The Jewel Vault incorporates up to seven massive 2″ chromed locking bolts, secured with two high-security, U.L. listed Group II combination locks. Both locks are protected by a 1/4″ ball bearing anti-drill plate. Additionally, the mechanism is protected by dual plates of tempered glass, which will activate two randomly located relocking devices in the event of a safe attack. For ease of use, the safe incorporates an ingenious roller system, which reduces friction and lets the safe owner use the tri-spoke handle with incredible ease. In addition, each relocker is equipped with an internal captive cross lock, which secures the relocker bolt once it has fired. Looking for high security safes to store your valuables? Value Safe has several to choose from, and they can be shipped to your home or office. If you own high-priced items and you don’t want anyone else messing with them, you need to keep them in a proper safe. Call 1-877-629-6214 to discuss your high security safe needs today. Will a Personal Safe Lower Homeowner’s Insurance? A person’s home is their castle. It’s the place they should feel safe and comfortable. When a person buys a standard home insurance coverage policy they are protecting themselves for those “just in case” moments when bad things could occur. Homeowner’s insurance typically pays for damage or destruction to a person’s house and their personal property. Does owning and using a safe to store your valuables get you a discount on your homeowner’s insurance? Sometimes it does. It’s a smart idea to mention that you keep your expensive items locked up in a safe and see what your particular insurance company thinks about that– they may offer you a discount on your premium because the likelihood of anything bad happening to items in a safe is low. sure. Because they’re locked away in a safe, these items are essentially safe from damage or destruction. Safes offer both security and fire protection– two things insurance companies appreciate. Some insurance companies keep a list of certain safe brands that will specifically help you get discounts. Things like “fire ratings” or the size and strength of the bolts/locks can come into play with the idea that the stronger the safe, the better chance that whatever’s in it will not be easily stolen or destroyed…hence, the insurance company can “rest easy” knowing they won’t have to pay for replacing certain valuable, expensive items since the safe is so…safe. In the past, people used to think of storing their important items in a bank’s “safe deposit box.” Today, with personal safes being affordable, it makes more sense to own your own safe for use in your own home so you have unrestricted access to it at any time. Furthermore, there’s a peace-of-mind that comes from knowing where your specific valuables are being kept and that you can use your combination to open your safe to check on the items at any time. When looking to buy your own safe, always buy one that’s physically bigger than you think you need at the time. Bigger is better when buying a safe as you’ll tend to fill the space up over time. Factors to consider include the thickness of the safe’s metal (or other materials), its type of locking mechanism, and its fire rating. 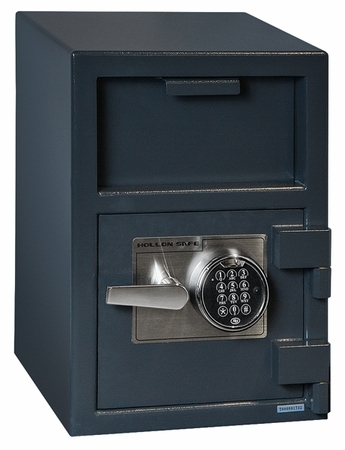 If you notice the term “TL-15,” which include some of the safes for sale on Value Safe’s website, that means the safe door can successfully resist entry for a net assault time of 15 minutes when attacked with common hand tools, picking tools, mechanical or portable electric tools, grinders, drills or pressure devices. A TL-30’s safe door can pass the same test for 30 minutes. Do note, however, that this does not include attacks on the sides or top. If you want a safe that is extremely strong on all 6 sides, choose a TRTL-30X6, which can withstand a 30 minute torch/tool attack on all 6 sides of the safe. As for fire ratings, consider purchasing a safe that offers at least a minimum of 1 hour fire protection. Keep in mind that no safe is totally fireproof…most safes, however, are quite fire resistant and able to withstand 30 to 150 minutes of fire. Safes keep your valuables safe. Remember to ask your insurance company if they offer any discounts for owning and using safes to store your most valuable assets. One of the easiest crimes to prevent is a burglary. Though it may be difficult to know of or to prevent the trespassing of an individual, you are the one who can control the safety of your valuables. Depending on your neighborhood, having a safe to secure your valuable belongings can quite possibly be a necessity. But, surprises are thrown at us all the time; even the safest houses and neighborhoods can suffer from burglaries from time to time. Another way that your goods and valuables may be stolen or destroyed is by natural disasters, house fires, or floods. By keeping your most valuable goods in a safe place, you can prevent them from being burned in a fire, soaked in a flood, or being lost with debris during storms, tornadoes, or hurricanes. Why chance it? Can you imagine having any of these items stolen from your possession in the blink of an eye? Why take the risk, invest in a safe today. Value Safes, Inc. is a company that specializes in keeping their customer’s items safe. Offering safety and security containers and storage of all different sizes, shapes, and protection intensity, this company has something for keeping your valuables safe. Not all safes are what you probably think – large, difficult for even the owner to unlock, and spacious. With Value Safes, you can choose from a selection of safes and storages of all different sizes that will fit into any nook or cranny in your house. Also offered are safes that are fireproof, waterproof, and humidity proof to secure any perishable belongings. Important files, client records, money, and extensive data are all items that, if lost, could be tragic to both the business and clients. These objects or pieces of information could easily go missing, get stolen, or ruined if they are not kept safe. Introducing a safe to your business could help all of these problems go away. In a safe, the important things could be stored, so that they won’t be exposed to water or fire, and they will be kept safe so that only the hands that are supposed to be on them will be. Examples of these important items include: wills, housing abstracts, passports, stocks and bonds, and trademark/copyright paperwork. In regards to a business, the employees, managers, and especially people higher up in the chain are usually responsible for client and customer information, files, and paperwork specific to the business. Clients expect you to keep their important things safe and secure while in your hands. Depending on the business, the client’s life could be in your hands. Why take the risk of having lost, stolen, or damaged files, items, or information? Get your company a safe today. Value Safes is a company that specializes in safety hardware, machines, and vaults. This company has any kind of safe that can be tailored to fit your needs. Value Safes has vaults that protect the contents from outside troubles such as fire, water, humidity, and theft. Having everything from a fire-protected media safe to a high security floor safe, Value Safes has got you covered. No matter the size, shape, or level of importance, you will be sure to find a safe that fits your needs with Value Safes. Always offering the lowest prices and a 100% Lifetime Fire Warranty, Value Safes is the way to go.